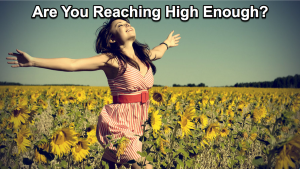 Are You Reaching High Enough? Only 5 More Days To Save Big! Do you long for every part of your life to improve, expand, transform…. But you have been taught or told that this is just too much to ask for in this lifetime…. At Diet For Living School we don’t believe that…. Do you know deep down inside that it could be different, you could make a difference if you just had the right support system…. At Diet For Living School we believe that too. For ten years now we have been graduating students who feel the same way you do. They had begun to connect the dots between diet and lifestyle…and sick family and community members….and said “this is enough”. They felt a calling….to participate….to connect with their values. They wanted to offer themselves and their children and their children more…a better chance at a healthy future. At Diet For Living School we are here to guide and support you. Because we believe when we all work together, great things happen….shifts occur….doors open….and the world becomes a better place for everyone. Learning to use Food as Medicine as a wellness tool and longevity choice has become a movement for the Twenty-First Century. Our Diet For Living School Early Bird Sale Has Begun! WOW! Right? We want to give you all the incentive you need to get healthy, help your family become healthier and bring that knowledge to your community to build a successful career. > Free! 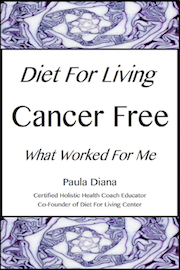 A Copy Of My E-book “Diet For Living Cancer Free/what worked for me”. > Free! A Copy Of My E-book “Creating A Life That Matters”.